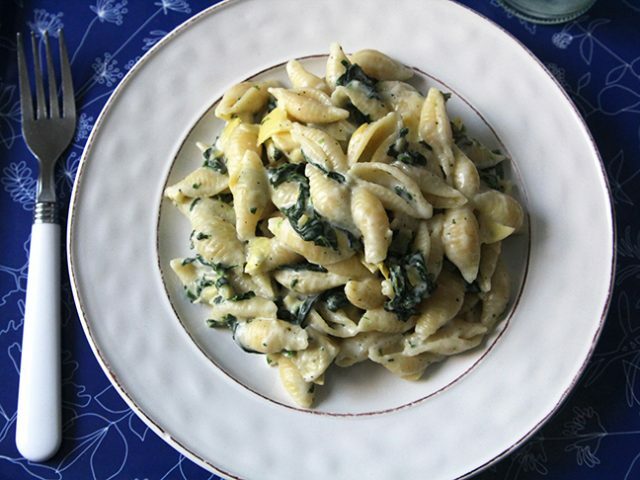 Let’s talk about creamy spinach artichoke pasta. Whenever my 10-year-old daughter sees spinach artichoke dip on a menu, she asks to order it. Every. Single. Time. 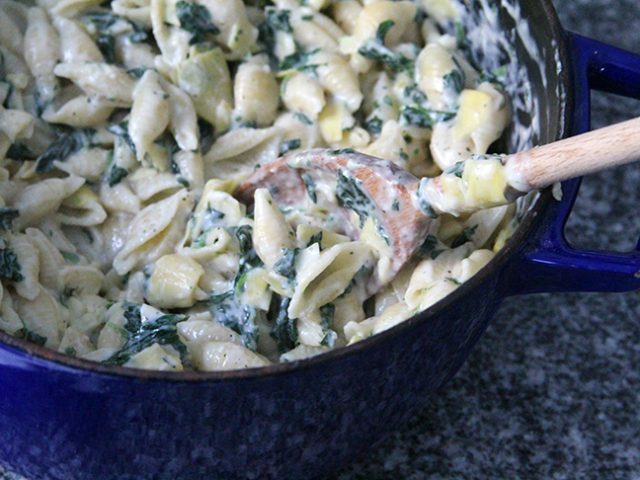 There’s something about the combination of creamy cheeses, hearty artichokes, and vibrant spinach that just tastes so good, isn’t there? I can hardly blame her for loving it. 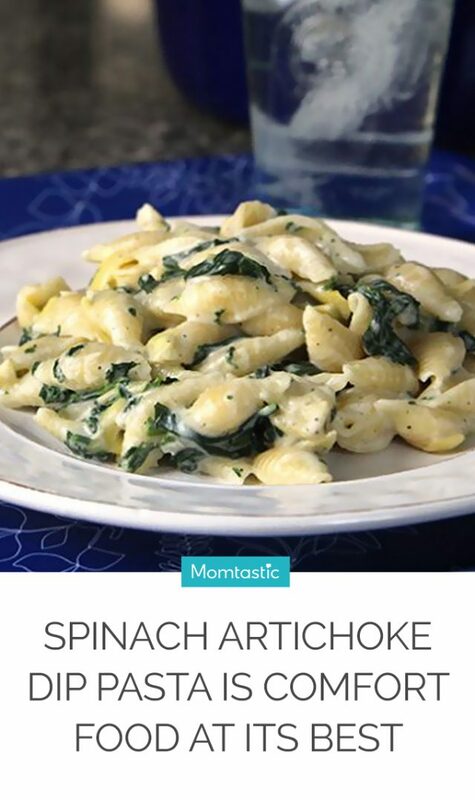 That’s what inspired me to take that creamy, spinach-y, artichoke-y goodness and transform it into a comforting, crave-worthy spinach artichoke pasta dish. It’s perfect for all the spinach-artichoke-dip-lovers out there, and it takes no time at all to put it together. It’s like having your favourite restaurant dip for dinner! Looking for a quick and easy dinner the whole family will love? 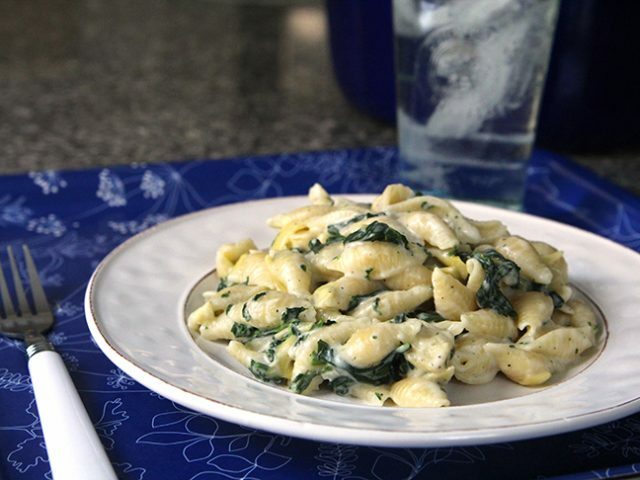 Follow my easy recipe for spinach artichoke pasta below. Start by making a roux: That’s a combination of butter and flour that thickens a sauce as it cooks. 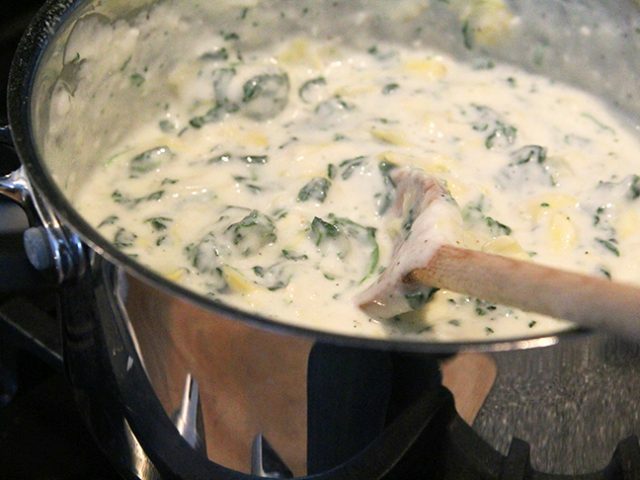 Add milk to your roux a little at a time so that it thickens as it goes. Season it with a little garlic powder, while you’re at it. Then comes the cheeses. This is made with equal parts mozzarella cheese and freshly grated parmesan cheese to create that familiar cheesy flavor and creamy texture. To that, add frozen spinach (no need to defrost) and chopped artichoke hearts. Mmmm…almost there. Finish the dish by tossing it all with cooked pasta. Step 1: Cook the pasta according to package directions. 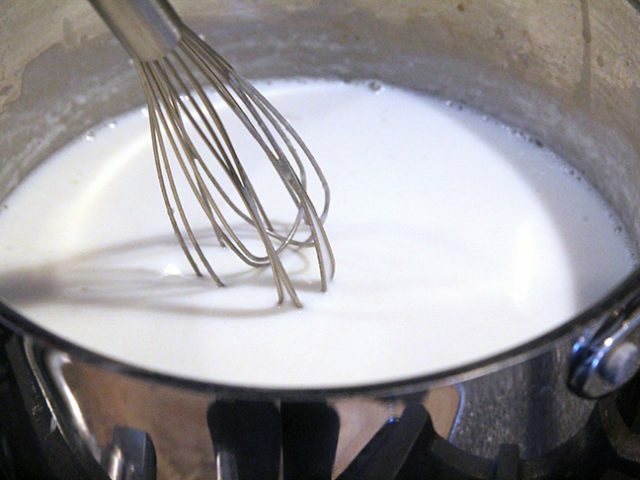 Step 3: Add the milk a little at a time to the pan, whisking well after each addition. Continue until all the milk has been added. Whisk in the garlic powder. Step 4: When the milk mixture is steaming hot, sprinkle in the mozzarella and parmesan cheese. Whisk to combine, continuing until fully incorporated. Step 4: Stir in the spinach and artichoke hearts. Season well with salt and pepper. Step 5: Add the sauce to the pasta and toss well to combine. Taste, and adjust seasoning as needed.